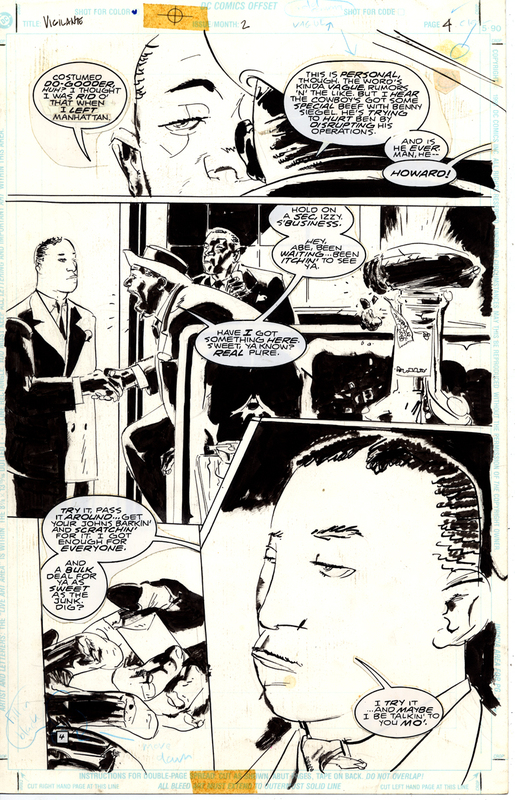 This page is by Tony Salmons. It is page # 4 from issue #2 of “Vigilante: City Lights, Prairie Justice”, published as a 4 issue mini-series in the mid-late ‘90s and collected as a graphic novel in 2009. I love the large close-up portrait in panel #4; it’s the reason I bought this page. I love the smeared ink along the silhouette of the man’s face and the scratchy character of the linework in general (croquille pen).The series was written by James Robinson.